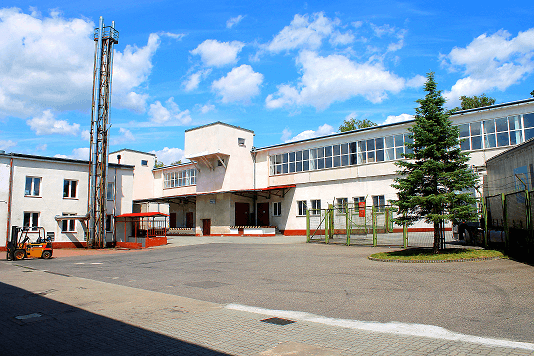 The owners of EAST-WEST DUTY FREE ZONE (E-WDFZ) in Mszczonow – the Podniesinski family – have many years of experience in conducting logistics operations and exchange of goods on the international markets. This has helped them in establishing by the Council of Ministers of the Republic of Poland the DUTY FREE ZONE (DFZ) IN MSZCZONOW in the year 2000. This decision has created possibility to offer multiple services in the center of Poland, contributing to the development of international trade. This place in Poland is also known for being the location of several large logistic centers and industrial projects connected with many well-known, European companies. The above mentioned DFZ area is fenced, lighted and guarded 24 hours a day by private and state services. Because of that, there can be no stealing or uncontrolled movement of clients’ goods. In order to provide a full security of stored goods the warehouses and offices are equipped with some basic and special installations including electrical, heating, sewage, fire-fighting, anti-theft and telecommunication systems as well as monitoring system. This infrastructure is sufficient for the storage of large variety of goods and satisfying special needs of the clients. The price for DFZ services is tailored specifically to the needs of the client, taking into account its financial capabilities.